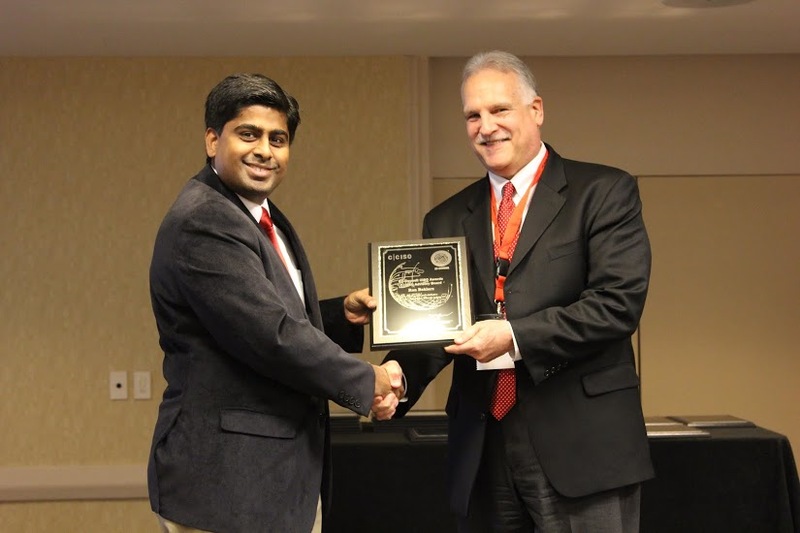 �It was an exciting day for all involved and we are very proud to have the opportunity to recognize such a trailblazing security professional,� says Jay Bavisi, President of EC-Council, of the awards ceremony at the Global CISO Forum. Baklarz wasn�t the only CCISO to be recognized by EC-Council, however. There were an impressive list of finalists as well, including Mauricio Angee, the CISO of Mercantil Commercebank; Frank Kai Fat Chow, a Senior Manager of Automated Systems (HK) Ltd.; Paul Horn, the CISO of DynCorp International LLC; Mike Loginov, the CISO of Ascot Barclay Cyber Security Group; Ashish Chandra Mishra, the CISO of Tesco Hindustan Service Centre; Rakesh Radhakrishnan CSA of AMGEN; Paul Swarbrick, CISO of NATS, the National Air Traffic Service; and Silas Mohale, the CISO of ASTUTE FSE (PTY) LTD. Finalist traveled from around the world to attend the Forum and awards ceremony to participate in the keynotes, panels, and networking events taking place at the Global CISO Forum. What set Baklarz apart from the pool of applicants was the impressive number of firsts he�s achieved in his career. Currently the CISO of Amtrak, Baklarz oversees an impressive information security operation. Amtrak is America�s Railroad�, the nation�s intercity passenger rail service and its high-speed rail operator. A record 31.6 million passengers traveled on Amtrak in FY 2013 on more than 300 daily trains � at speeds up to 150 mph (241 kph) � that connect 46 states, the District of Columbia and three Canadian Provinces. During this period, Amtrak earned $2.1 billion in ticket revenue while employing more than 20,000 people. The complexity and importance of this organization is staggering. Prior to his tenure with Amtrak, Baklarz�s career includes an impressive series of firsts, including being one of the first information security managers in the Naval Nuclear Program, being the first Information security manager at the US House of Representatives, building the first secure operations center at Prudential Insurance, being the first CISO at the American Red Cross, and the first CISO at Amtrak. His career in information security is unparalleled as he�s served in CISO positions in military, government, healthcare, nonprofit, private sector, and transportation organizations. He is truly a leader in information security and among the first-ever certified CISOs through EC-Council.